Breaking the cycles of poverty and incarceration comes down to one thing: employment. Men who build careers build better futures for their children — and you are the key. By partnering with world-class companies seeking qualified employees, we provide our trainees with solid career opportunities and companies with motivated job candidates. 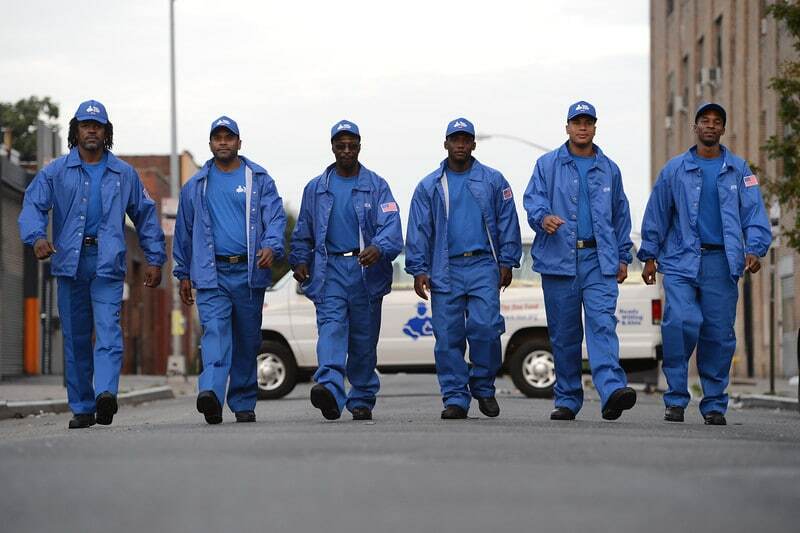 The Doe Fund’s social enterprises help the Men in Blue gain paid work experience in recession-proof industries, while also providing valuable services to the community, and generating revenue that is reinvested in our programs. Learn more about our social enterprise services for hire here. The training, skills and preparation our graduates bring to the table make them valuable assets to potential employers. Last year alone, nearly 250 top companies hired our graduates, including Whole Foods and Citibank. If you’re interested in becoming an employer partner, please email hire@doe.org.